How to update your Cherry Mobile Flare S2 to Android KitKat 4.4? Cherry Mobile Flare S2 receives the highly anticipated Android KitKat update as announced in its Facebook page today. Being one of the best selling local Android phones this year, the Flare S2 will have a better build to support its Sony IMX179 image sensor. If you have been sporting this nifty hardware for a while and hoping for newer tweak, this might be your lucky day. 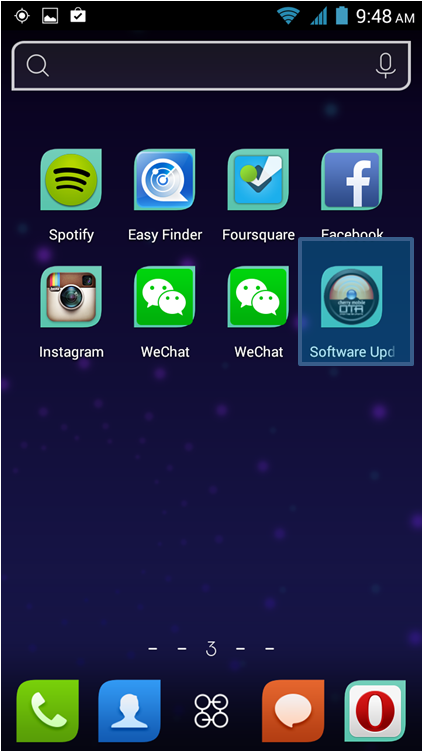 Here’s how to update your phones. Before updating it is also required for you to have a secure WiFi connection and atleast 80 percent battery. Step 2: Pull up your OTA app in your homescreen. You can see the app highlighted below. Consequently, after you have downloaded the update, your device will boot. You also have to restore factory setting to update your stock KitKat app. What’s new with Android 4.4 KitKat? Android KitKat will give you enhanced features like unlimited home screen panels to house your apps, widgets and shortcuts. Likewise, you can just say “OK Google” to prompt Google Now (voice assistant) to activate search interface, send message or play music. Other features like Enhanced Caller ID, Immersive Display, QuickOffice integration, message integration, contact prioritization and Emojis define the most of the Android KitKat changelog. 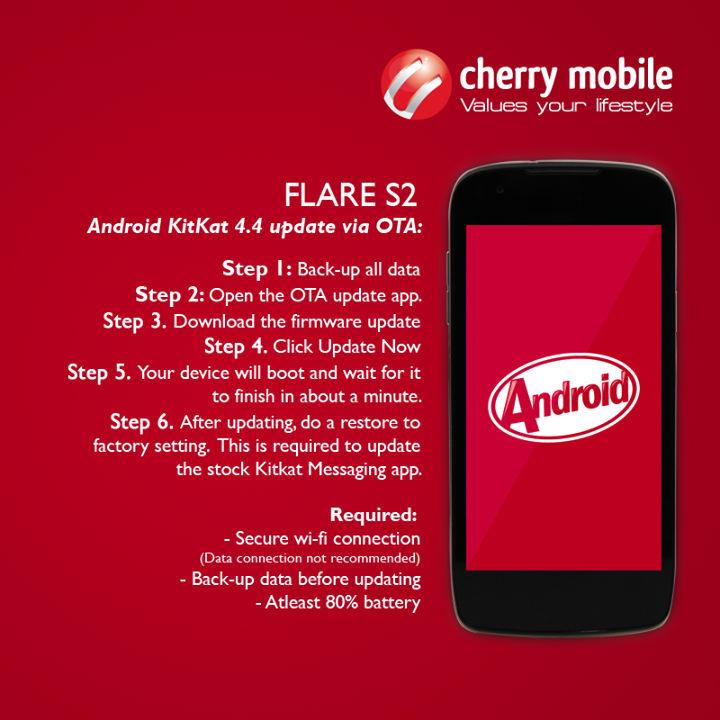 Pinoy Metro Geek: How to update your Cherry Mobile Flare S2 to Android KitKat 4.4?